In order to sell packed and unpacked food, offer them in your store, export, import or serve in a restaurant, first you have to ensure their correct labelling - indicate correct nutrition claims, highlight allergens and other information defined by law. Legislation, however, unfortunately changes frequently and it is not easy to have a good understanding of all current standards. That is why our QSL team is here to help you with food labelling. We have rich experience in labelling packed and unpacked food. Behind our unique know-how, there is deep knowledge of the retail environment, experience in international retail chains and in state sector or personal participation in the Commission for Labelling of Products for Codex Alimentarius – the most significant world corpus of norms and standards concerning food safety. We provide complete realization of correct labelling of food. We provide consultation for correct labelling of unpacked food, dishes, food supplements and food for special nutrition. We provide correct labelling of allergens in restaurants and other sites. We help with complete creation of private labels. We provide notification of products in EU countries and in cooperation with our partner organization in London, we help Czech producers with translation and correct labelling in more than 30 countries of the world. We provide tailor-made trainings in the field of food labelling. 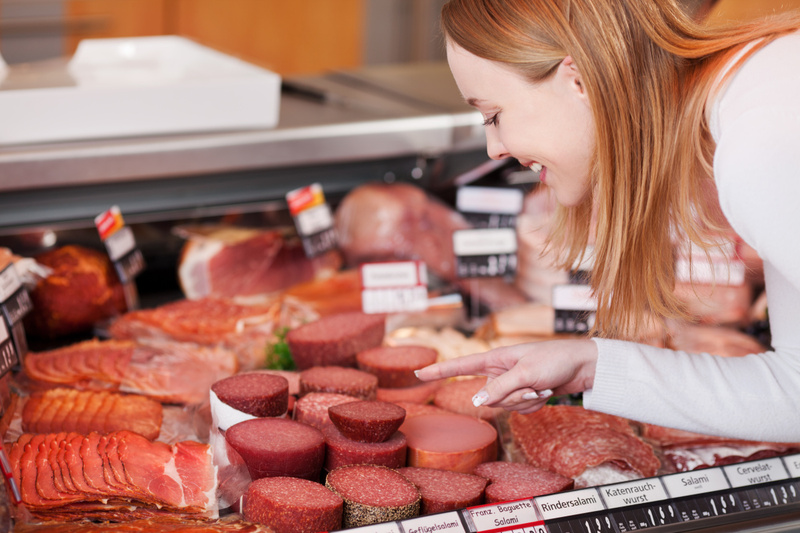 We help Czech producers and farmers in negotiations with retail chains and with creating of correct labelling. Many known companies use food labelling with us. Will you join? How to label unpacked food? In the Czech Republic, stricter criteria for labelling of unpacked food than those requested by the EU apply. We must solve indication of the producer and then decide what information we will place directly by the product – what into its close proximity and what information will be provided on customers' request. On request of the Czech Confederation of Commerce and Tourism, QSL issued a manual concerning this issue; we consulted the manual with the Ministry of Agriculture and Czech Agricultural and Food Inspection Authority. Subsequently, we trained the team of our experts on the manual. Based on our practical experience, we launched a new – QSL Info Box that will significantly ease labelling of your food.